establish medical surveillance requirements for early detection of disease. Did the rule work to protect workers? While its impact has been evaluated through observational reports, with decreases in exposure and reported cases of beryllium sensitization (BeS), there have been no published studies assessing whether exposure reduction activities have had a statistically significant impact in the prevention of BeS… until now. 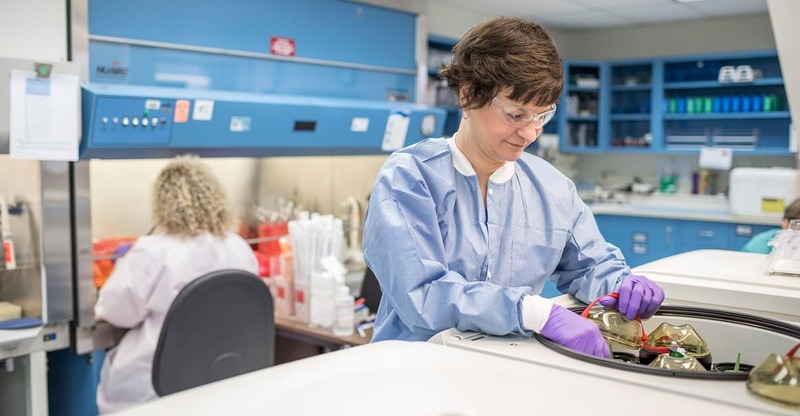 ORAU examined the incidence of BeS in a cohort of 6,915 workers employed at a single DOE nuclear site with nearly 29,000 beryllium lymphocyte proliferation test (BeLPT) results obtained 1994 to 2018. The BeLPT is a blood test that measures beryllium sensitization, which is considered an allergic reaction to beryllium and a potential precursor to Chronic Beryllium Disease. Workers were classified as beryllium sensitized when they met one of the following conditions: two abnormal blood BeLPT results, one abnormal and one borderline blood BeLPT result, three borderline blood BeLPT results, or one abnormal lung lavage BeLPT result, where cells and fluid from the lungs are analyzed. Results of the study indicated an overall decrease in exposure and BeS incidence rates among the cohort, with some outlier data based on site cleanup activities involving beryllium. These findings provide support that the DOE Beryllium Rule helps avoid additional BeS cases. Future research will more precisely assess the relationship between beryllium exposure levels and beryllium incidence over time to inform possible predictions in estimating the burden of disease that could be reduced with enactment of new proposed exposure rules. To learn more about beryllium exposure testing or if you need help adhering to the new OSHA regulation for beryllium, contact Barbara Neill at 865.241.6152 or barbara.neill@orau.org.